Seeking and attending a meth addiction treatment program is a huge step in your recovery. But, you also know that there is a lot of work ahead of you. To make it through treatment, you need support to remain abstinent and invested in continuing to be so. This is why so many meth abuse treatment plans involve participation in a support group. These formal assemblies offer several benefits, and they can continue to provide them after treatment as well. Self-help groups, also known as mutual support groups, provide their members with support on a number of issues. It is worth noting that though the groups you will attend during meth addiction treatment are designed for you, the meth user, your friends and family may also benefit from joining support groups for those affected by drug and alcohol use. Whereas group therapy is run by professionals in formal programs for meth abuse treatment, support groups are led by members. There is evidence that participating in a support group helps lower the odds of a relapse, but there is no guarantee that this is true for all participants. What Is the Focus of the Groups? Quite simply support groups, in treatment and during aftercare, aim to help members get sober and remain that way. Typically, these groups provide addicts with a place to talk about their feelings, experiences, and efforts to abstain from drugs and alcohol. Some groups do this by following a 12 step model, but that is not a consistent element of support groups. When you leave meth addiction treatment, you should ask whether or not you can continue attending support group meetings as part of aftercare. If not, they may be able to point you to community resources. If your area is remote and there are no groups, consider participating in online or telephone support groups. Most people who need meth addiction treatment know that they should seek out meth abuse treatment and enter it as soon as possible. However, denial is a powerful part of the addiction experience and it isn’t uncommon for people to make excuses for their meth use and to justify the behavior. Some people argue they can control their meth use. Others believe that they are only using meth because they are going through a stressful time; when it ends, they will stop. If a person has an addiction, neither of those are true. The following signs can help you determine whether or not you should find a meth addiction treatment facility. Are you having a hard time fulfilling duties related to your home, job, or schooling? Can you attribute this carelessness to meth use? Do you use meth even when you know that you will be participating in a dangerous activity, like driving or operating heavy machinery? Are you ignoring these consequences and courting injury or death because your need to use meth is too strong to ignore? Do you dedicate a large part of your day to using meth, seeking meth, and recovering from meth? Does meth drive the majority of your choices about how you spend your time? Have you made promises to yourself about using less meth or getting high less frequently? Were you able to keep them? Have you consistently failed at controlling your meth use? According to the National Institute on Drug Abuse, addiction is characterized by compulsive drug seeking and use, despite harmful consequences. If you are still using and your use is causing undesirable outcomes, you have a problem. You need meth abuse treatment. Often, the term chemical dependency is used interchangeably with addiction.î However, dependency on a drug or on alcohol is not the same as an addiction and that’s an important fact. People who recognize they have a problem but are not addicts may feel that they aren’t at a point where they need meth addiction treatment, but it is certainly something worth considering. Though you may not have a full-blown addiction, meth abuse treatment can prevent you from reaching this point. What Is Physical Meth Dependence? Although both tolerance and withdrawal are markers of addiction, they are also part of physical dependency. When the body adapt to the meth you have been taking, you will require more of it to achieve the same effects you have become accustomed to. This is tolerance. You will also experience meth-specific physical and mental symptoms if you abruptly stop using meth. This is withdrawal. Thus, you need to keep using meth because your body has become dependent upon it. But, you might take just enough to keep withdrawal symptoms at bay. You may not yet be using compulsively. Chronic use of any drug can trigger dependency. This is even true of legally prescribed medications taken per the doctor’s instructions. 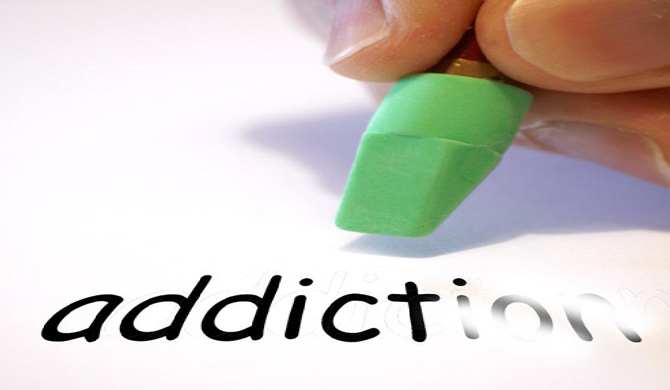 Dependency can quickly develop into addictions, so it is best to begin meth addiction treatment before that is the case. Certainly, waiting will increase the severity of the problem you need to deal with in meth addiction treatment.